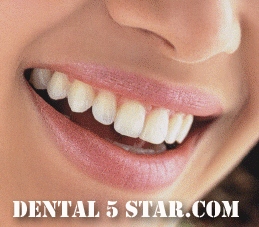 dentist-nyc.png”> Prestige Dental is the NY dental office of NY dentist Dr. Yelena Simkha. NY dentist Dr. Yelena Simkha is a dentist in NY specializing in cosmetic dentistry, including dental implants, tooth crowns, dental extractions, and tooth bleaching. 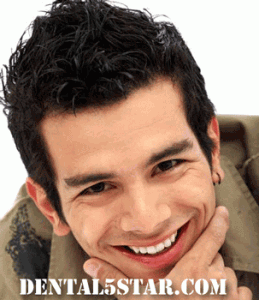 A dental implant is an artificial replacement for a missing tooth. NY NY dentist Dr. Yelena Simkha uses dental implants to give you the best smile possible. The dental implants that NY dentist Dr. Yelena Simkha inserts also help to prevent oral health problems such as bone loss in the jaw. 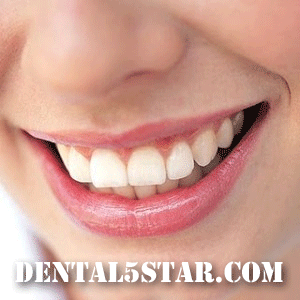 Dental crowns serve as artificial tooth enhancements. New York City dentist Dr. Yelena Simkha uses dental crowns either to improve the tooth’s look or function, or to repair damage to the tooth. Dental crowns are similar to fillings, but, rather than being put inside the tooth, dental crowns cover the top and sides of the tooth. Dental extraction is the process of removing a tooth. There are many reasons why NY Dentist Dr. Yelena Simkha might perform a dental extraction. Commonly, dental extractions are used to either remove a tooth that is in the way of other teeth, or to remove a severely infected tooth. Teeth removed via dental extraction can be replaced with dental implants. Tooth bleaching is a cosmetic dentistry process used to whiten teeth. If you want to have a clean, white smile, NY NY dentist Dr. Yelena Simkha can perform a tooth bleaching. New York dentist Dr. Yelena Simkha is the best NY NY dentist to specialize in cosmetic dentistry, including dental implants, tooth crowns, dental extractions, and tooth bleaching. If you need a great cosmetic dentist in NY NY, then contact Dr. Yelena Simkha today. specializes in dental implants and cosmetic dentistry. Simply call Dr. Simkha’s Midtown Manhattan Dentist Office at 212.683.4330 or Upper East Side Dentist Office at 212.249.3399 to schedule a dental consultation. Midtown Manhattan dentist Dr. Yelena Simkha performs top quality dental extractions. If you need a damaged tooth or a broken tooth removed, Midtown Manhattan dentist Dr. Yelena Simkha is your best choice. There are two types of dental extractions that Dr. Yelena Simkha can perform: simple dental extractions and surgical dental extractions. Midtown Manhattan dentist Dr. Yelena Simkha performs simple dental extractions on teeth that are exposed in the mouth. Simple dental extractions require only local anesthetic. First, Midtown Manhattan dentist Dr. Yelena Simkha elevates the tooth, then Dr. Simkha loosens the tooth using dental forceps. Once Midtown Manhattan dentist Dr. Yelena Simkha has sufficiently loosened the tooth, Dr. Simkha removes the tooth. In more severe cases, Midtown Manhattan dentist Dr. Yelena Simkha can also perform surgical dental extractions. Surgical dental extractions are necessary in cases where the damaged tooth is not easily accessed. In the case of surgical dental extractions, Midtown Manhattan dentist Dr. Yelena Simkha must create and incision into the gum before extracting a damaged tooth or broken tooth.